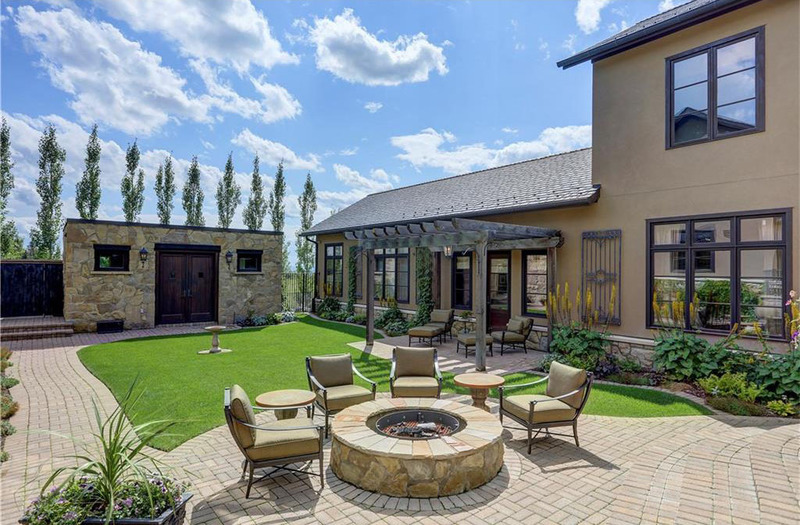 Step inside this home inspired by Tuscan villas. In Rural Rocky View, Alberta, a home takes cues from Europe in both its architecture and interior design. The five-bedroom residence might be less than ten years old, but it has an incredible sense of old world tradition while it overlooks the beautiful Rocky Mountains. The home is more than unique, it is authentic. It was handmade by exceptional artisans using both local and imported materials. Every detail, no matter how small, is crafted with the highest quality in mind. The house transports you to the Tuscan villas of Italy by using architectural elements around the house like custom crafted natural stone. 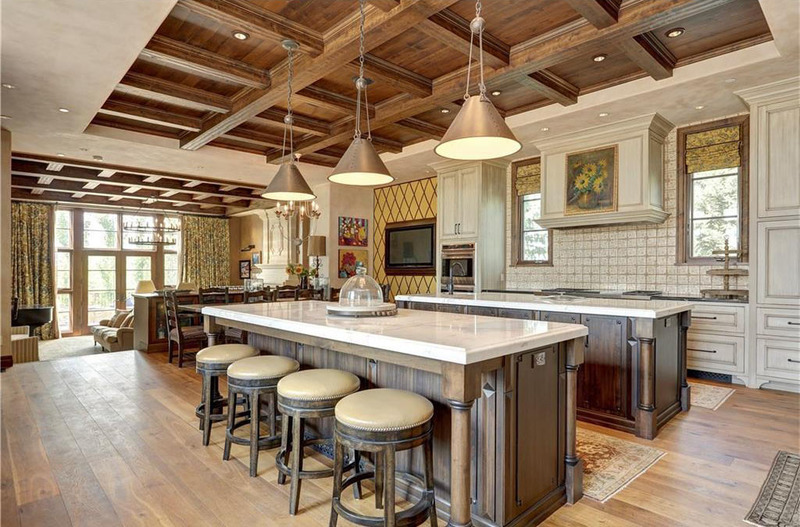 The ceilings are decorated by grids of wooden beams, a typical choice in Tuscan farmhouses. With their chestnut colour, the ceilings add an extra pop of colour to the beige walls and monochrome furniture. The indoors are decorated to give an antique feel. Chandeliers, wall decor and furniture all work together to bring the old-world charm. They all blend together in a colour palette of beiges and brows, but in every room, there is one element that stands out from the others. It could be a painting, a tapestry, a silver tub or one the many chandeliers used around the house. And for those who are still not convinced of how this home raises the bar, there are a couple of fun facts you should know. They are not about its architecture, but about its connection to Hollywood. The house was a set for the award-winning series Fargo. It was also recently leased to Leonardo DiCaprio while he filmed The Revenant in Alberta. If you a major film and TV fan, this house is more than just a reminder of Tuscan villas. Take a tour of this Alberta home. 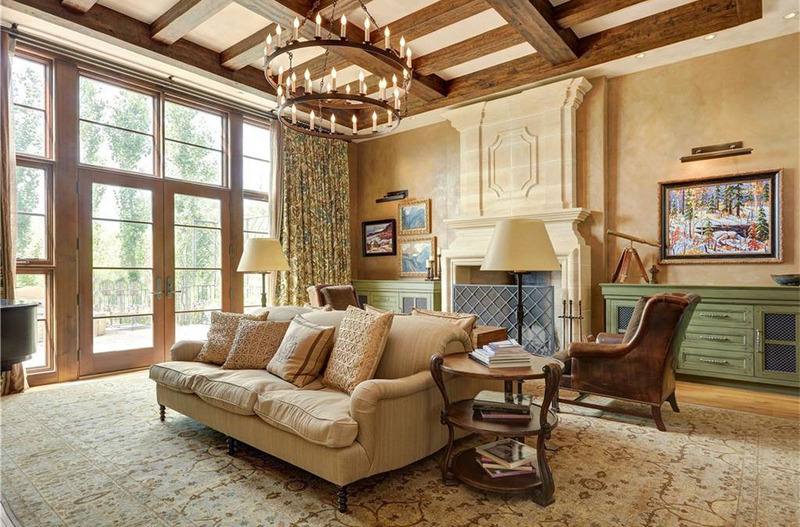 The living room with a full display of the ceiling’s Tuscan wooden beams. The gourmet kitchen with a double kitchen island and white cabinets. 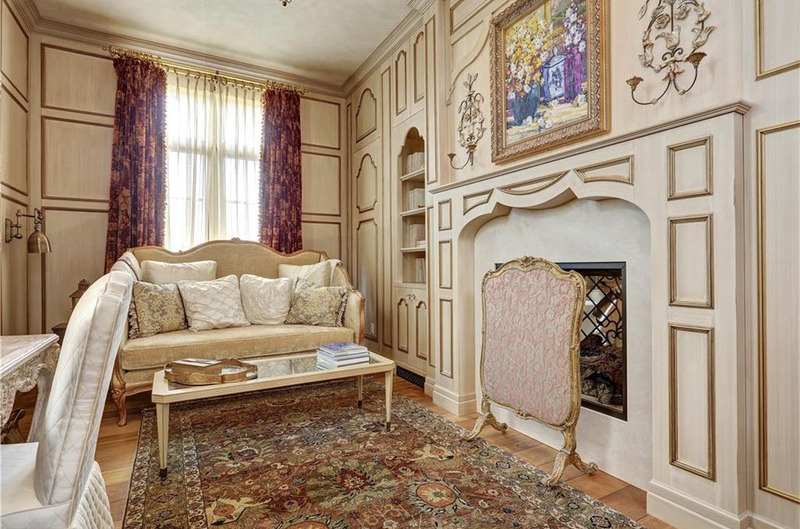 Another living with an amazing French-style decor. 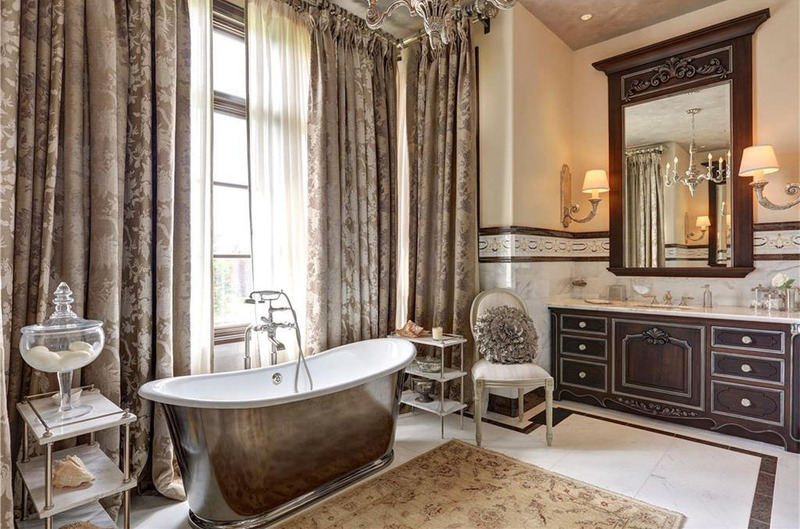 A bathroom with an iconic silver tub. 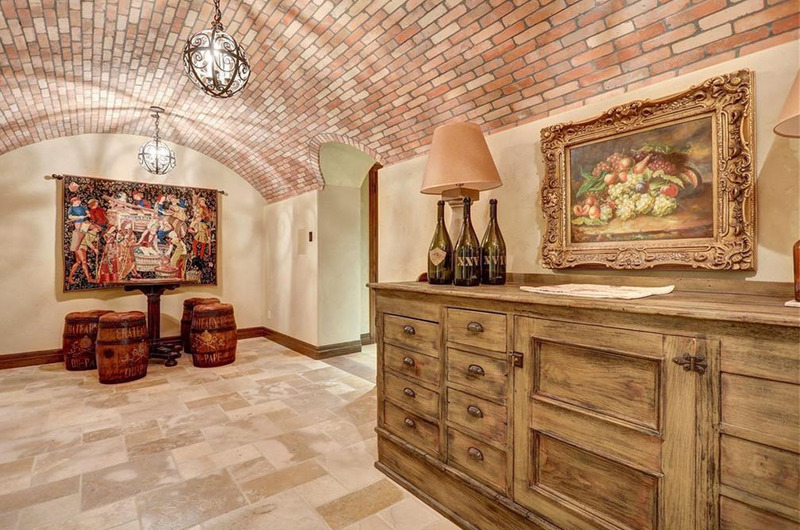 The Italian-inspired entrance to the wine cellar. The garden with Tuscan landscape vibes. This home is currently on the market. Search for a home, save the listing in your Homicity dashboard and contact Sam Corea to take a look inside this Tuscan home.